For as long as I can remember my dad has gotten a puzzle for his birthday. My dad’s birthday is Christmas Eve so my family would put together his birthday puzzle over Christmas break. 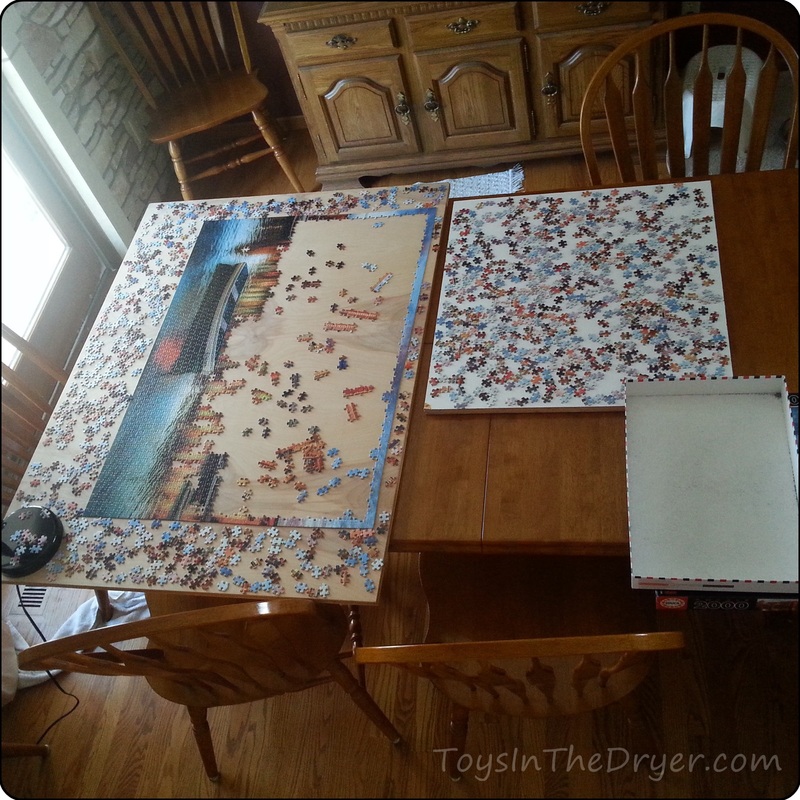 We would spend days bonding as a family while putting these puzzles together. My girls have loved and gotten puzzles for presents since they were old enough to put them together. Tottie puts one together at least once every couple of weeks. They keep her busy while Nutty is at school. A couple of years ago, Hubby had carpel tunnel surgery. He bought himself a 2000 piece puzzle to keep occupied while off of work. 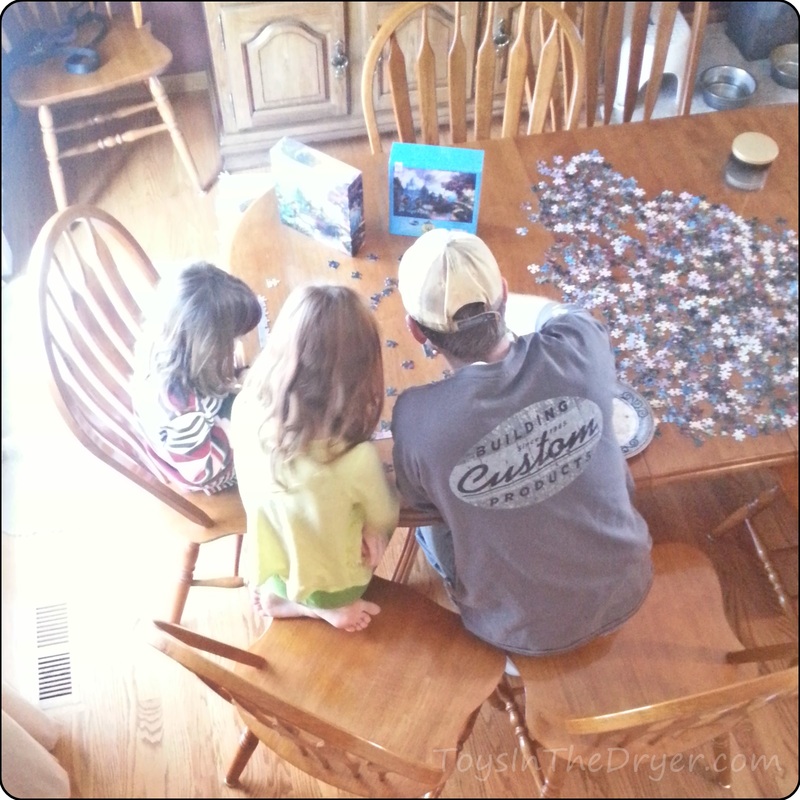 Little did he know, his puzzle would be the start of a new family tradition. 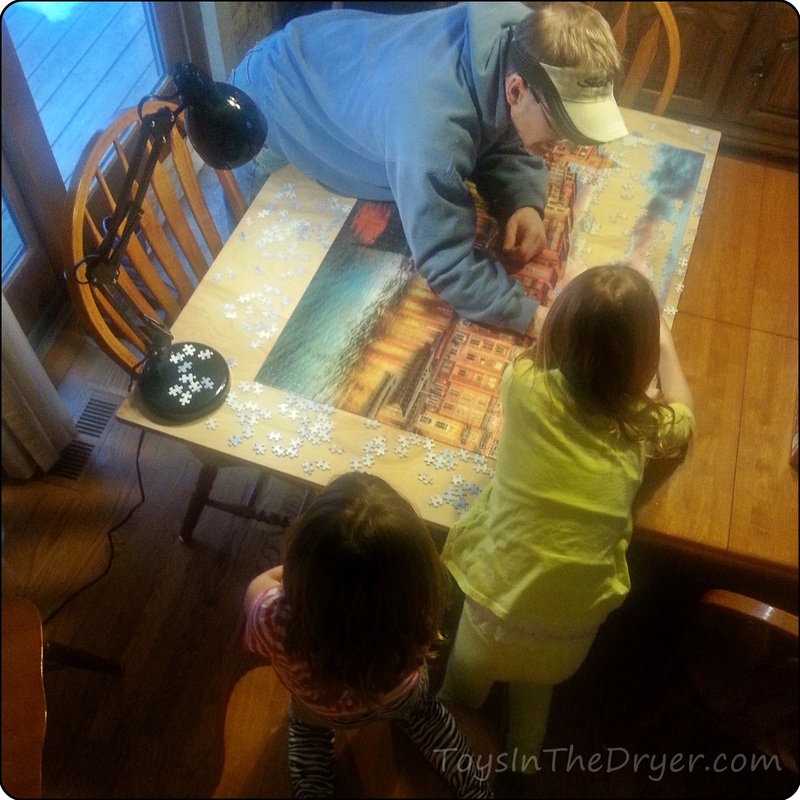 The girls and I loved helping him put together that large puzzle. Since then, once a year we get a large puzzle to put together as a family. 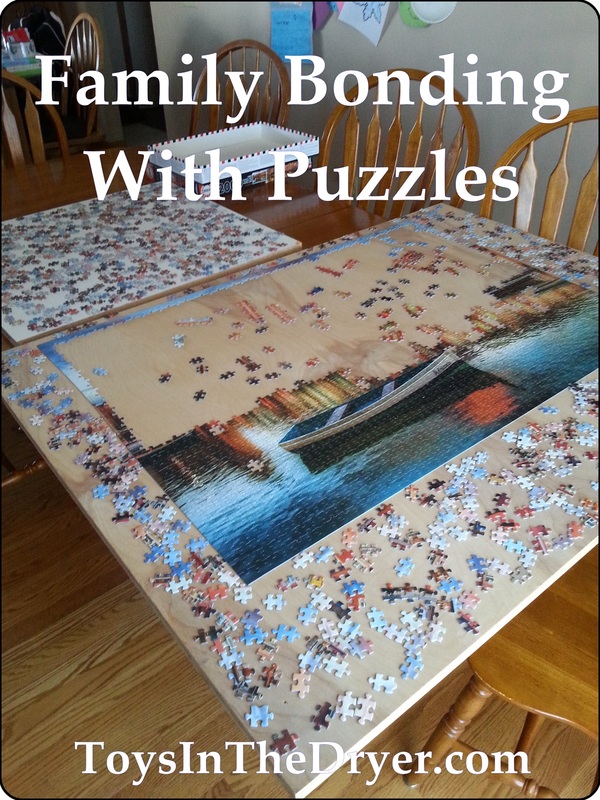 This puzzle takes up 3/4 of our dinning room table but Hubby and I think it’s worth it. He cut boards so that they can be moved if need be (i.e. for dinner). Like my family growing up, my own family now spends days bonding over puzzles. What types of things do your family bond over?